Ever experienced the horror of having spilled coffee or tea on some important documents? Well, times have changed. Korean designer, Jeon Hwan Ju, has successfully turned coffee and tea dregs into replacement ink for printers. 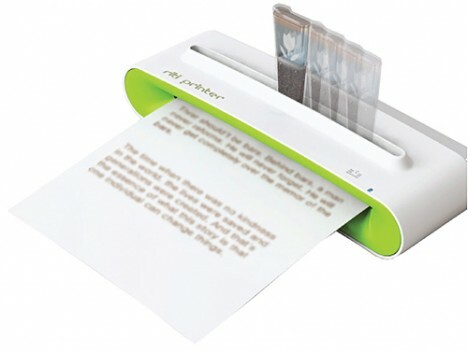 The RITI Inkbox may only produce sepia printouts, but it is definitely a green technology that makes good use of office waste. How does it work? Coffee or tea dregs are mixed with some water and put inside the cartridge. The only indignity is having to move the cartridge left and right in the slot while drawing on the paper. Choose your brew and have ink!